How Do Wireless Trail Cameras Work? BlazeVideo Game Camera: The Best Camera for Hunting? Game cameras are your best bet of catching Bigfoot or scouting for wildlife. They’re not restricted to just that, but because of their robust build and easy concealment, they offer great productivity when used for such purposes. The prices of game cameras vary depending upon the features they offer. Here, we have prepared a list of some of the best game cameras on the market. Each of them varies in terms of features and a price tag. The StealthCam Game Camera comes with a powerful 10 megapixel camera with 4 resolution selection. The unit is also capable of HD video recording of 5-180 seconds with audio. The menu display is backlit and is compatible with up to a 32GB SD card. The company claims the IR emitters to be powerful enough to cover the range of around 100 ft. It can be run on 8AAA batteries for hours of scouting or can also be operated by connecting it to a 12-volt battery through an external power jack. Overall, it’s a fantastic game camera from Stealth cam. Along with the backlit display, it comes with easy-to-use control buttons. The camera is excellent, and the motion sensor is also commendable given the price. Night time capturing is practically useless when the battery is low, but you could just replace the batteries for that. It offers great value for money with its wide range of features and sturdy build. The device is also weather-resistant and robust against dust and other elements. 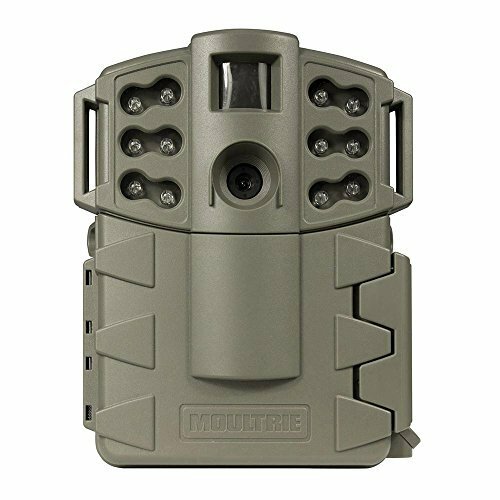 The game camera from Moultrie has a 5 megapixel resolution and a 40 ft detection range. Its flash is powerful enough to cover a range of up to 50 ft and the infrared vision equipped in this gadget allows nighttime capturing, too. The trigger speed is also fantastic at less than 1.5 seconds, which means the camera resets immediately after capturing an image. The A5 Gen 2 also features a motion trigger, has been updated to a new look and comes with handy features like shorter delay options and Multi-Short mode to enhance your camera performance. The unit comes with a sturdy casing and is highly weather-resistant. The LED array works well for its concealment and it’s packed with plenty of handy features to provide a superior user experience. Its inexpensive price tag makes it even more appealing as it offers fantastic value for money. Also, it’s backed by a year of warranty for all manufacturing defects. Although it’s claimed to be weather-resistant, it’s not advised to expose this unit to too much moisture as there have been complaints about moisture causing it to malfunction. The game camera from Browning Strike is able to compete with the very best gadgets on the market. It’s got a remarkable trigger time of 0.67 seconds, and it can record up to 2 minutes of HD video. The flash range is commendable at 100 feet, and it comes with Browning Buck Watch time-lapse viewer software. The camera quality is decent both during the day and night, and it also offers great battery efficiency. After-sales service is just as important when purchasing a product and it’s backed by a responsive and knowledgeable customer service department. There are fair amount of pros and cons with this product, but the pros easily outweigh the cons. This game camera does exactly what it’s meant for and it won’t be giving you much room to complain about. It might seem slightly more expensive than other similar products offering the same amount of features but I would still rate it as fair value for money and would recommend it to everyone. Looking at the features and best value for money, the Stealth game camera is easily the best product here. It’s got most to offer compared to other products and isn’t priced too highly. 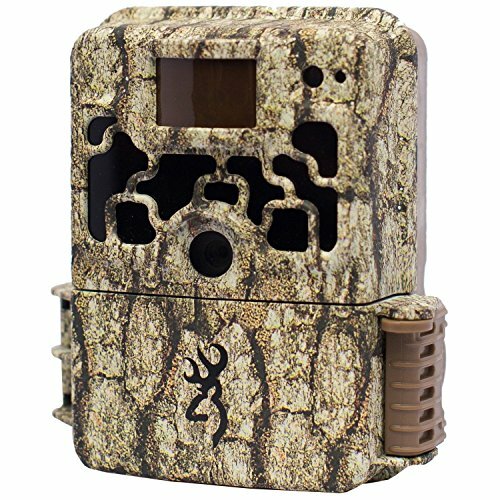 If you’re willing to adjust with a little less quality for a cheaper price, the Moultrie game camera is the best product for you. It features lower camera resolution and slightly less convenient motion sensors, but it will get the job done. 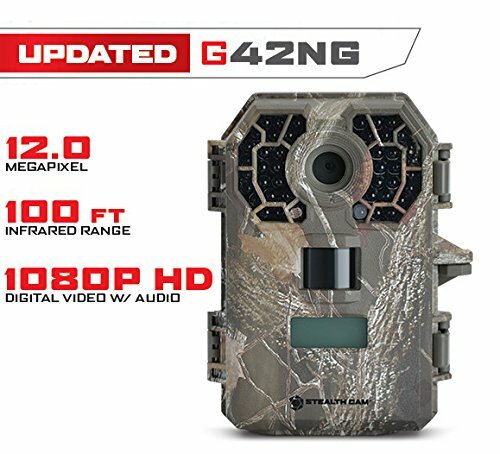 If both these products aren’t what you’re looking for, the Browning Strike game camera is another amazing product on our list. It only loses to the Stealth Cam in terms of trigger speed and a higher price tag. Make sure you know what you’re getting in terms of features and its capabilities when you make up your mind about the purchase. TrailHuntingStuff.com is a participant in the Amazon Services LLC Associates Program, an affiliate advertising program designed to provide a means for sites to earn advertising fees by advertising and linking to Amazon.com. Amazon and the Amazon logo are trademarks of Amazon.com, Inc or its affiliates.